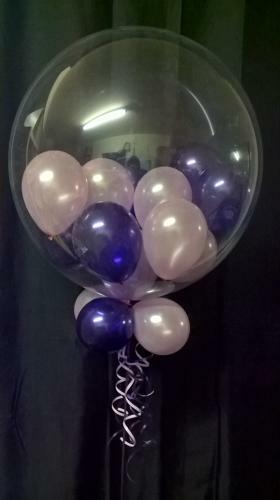 These gorgeous balloons come on a colour co-ordinating weight and ribbon, they are available in any colours you like and come with a choice of outer bubble balloon. They can be done in plain, filigree, heart, stars, flowers with butterfly or balloons with stars. They can be personalised for an extra £4 if desired.